With the success of ‘Vanguard 1’, the Kerbal Space Agency turned it’s attention to Duna. The ‘Vanguard 2’ was designed with a larger communications antenna for the more distant orbital periods of Duna. 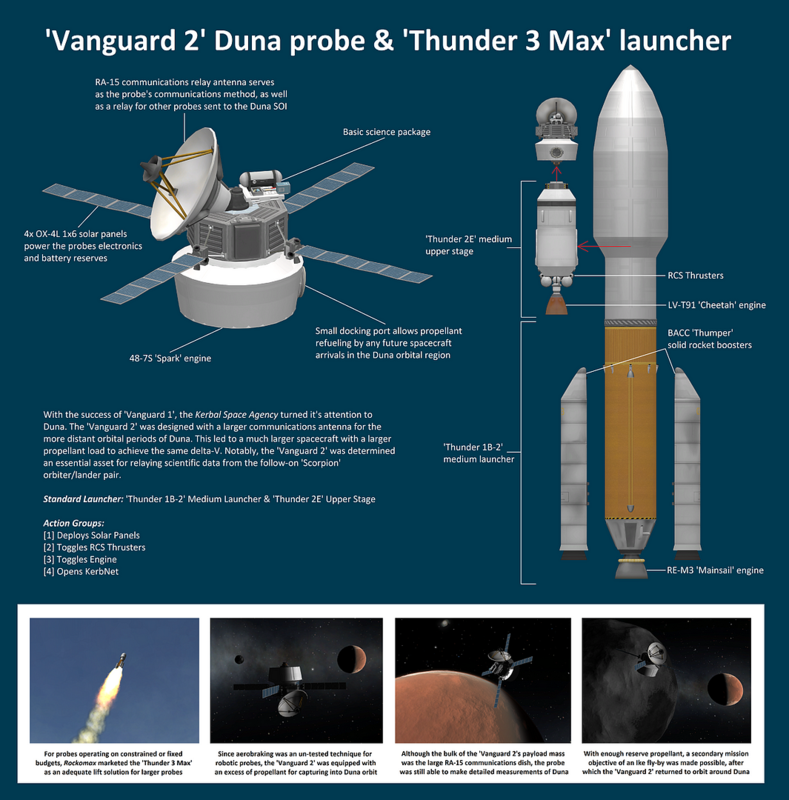 This led to a much larger spacecraft with a larger propellant load to achieve the same delta-V. Notably, the ‘Vanguard 2’ was determined an essential asset for relaying scientific data from the follow-on ‘Scorpion’ orbiter/lander pair.